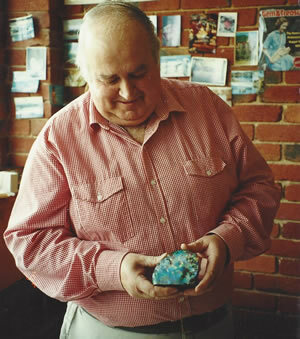 Cyril was first attracted to gold and opal specimens some 50 years ago, and he also recognised the untapped beauty of Australian mineral specimens. 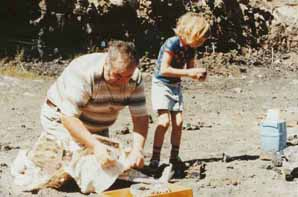 By the time he co-founded the Mineralogical Society of Victoria in 1976, Cyril’s knowledge had expanded to include minerals from all parts of the world. While Katherine and her brother were growing up, the family often went fossicking (the kids even had their own child-sized picks!) and regularly attended gem and mineral shows. Over the years, we published a number of books on Australian minerals, gemstones and gold, as well as producing the journals Australian Mineralogist, Australian Gems and Crafts Magazine, and Australian Gem and Treasure Hunter. In recent years our good friend, Peter Hall, was welcomed into CK Minerals. 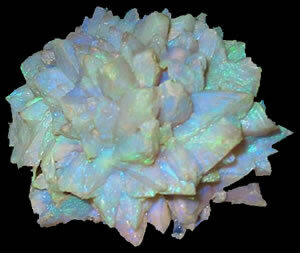 Pete has a vast knowledge and passion for minerals which stretches back more than 35 years. Cyril and Pete enjoyed displaying and selling minerals at local gem and mineral exhibitions, and just ‘talking minerals’. In February, 2016 we were devastated and deeply saddened when Cyril died suddenly. We are determined that his legacy will live on through the minerals he loved. With CK Minerals, we have refocussed on sharing our love of minerals with others. We are constantly searching for collections, new finds, and special pieces to buy, and this means there will always be something new to discover in the pages of our website. the Eastern freeway construction (Melbourne, 1970s).